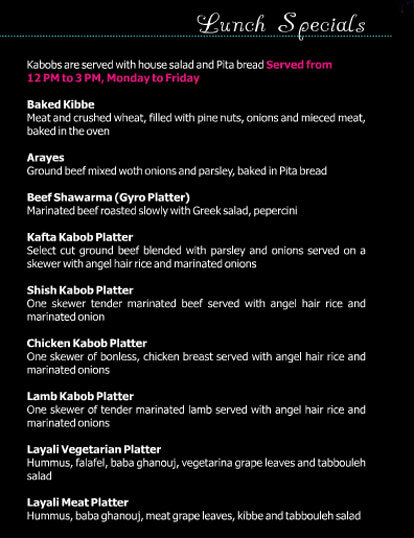 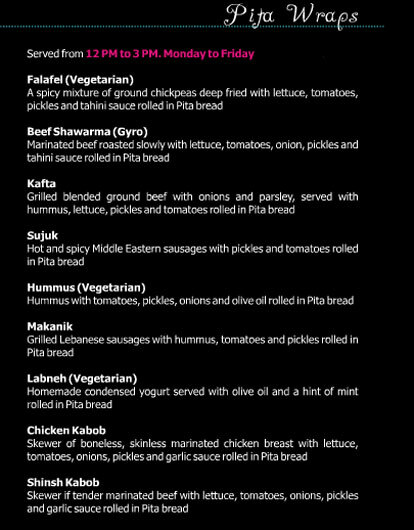 Baba Ghanoush, Fried Kibe, Hummus, Tabule salad, Grape leaf rice with meat rolls, Labneh, Falafel, and of course Kabobs! 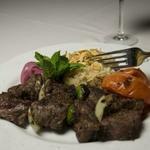 Hookah is also available with various flavors. 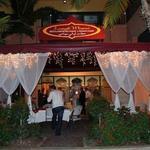 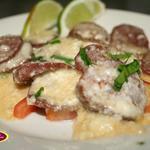 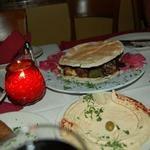 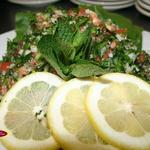 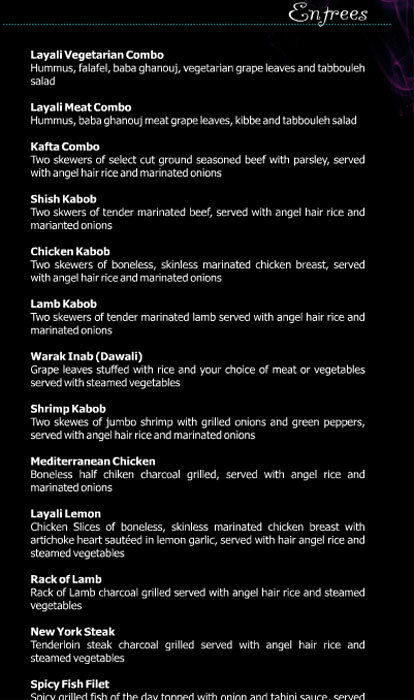 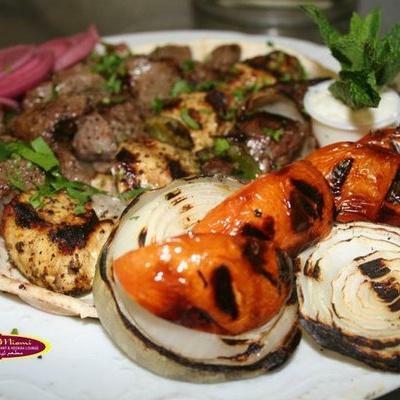 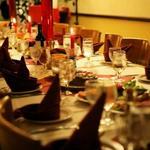 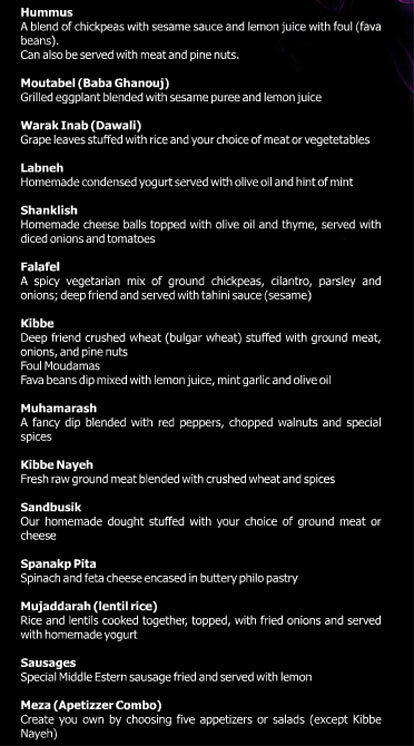 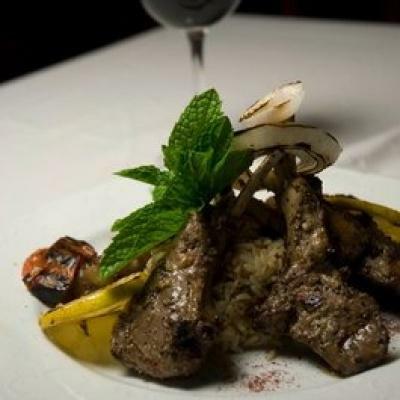 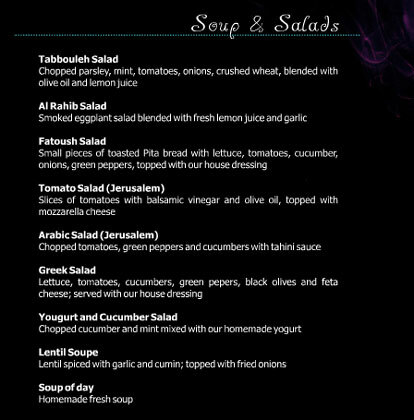 Layal is a fine Lebanese Restaurant located in Doral area. We have exquisite food and quality entertainment. Come and savor succulent Lebanese fare in the opulence of an authentic Middle eastern ceremonial tent decor, while captivating belly dancers set the mood, and feast on the many specialities of the house.